More like this movie is a crime! Hahaha GET IT?!?!? I also watched Goblet of Fire the same way, but for whatever reason, I’d disliked it so strongly that I refused to watch any of the ones that followed… until I rewatched all of them before Deathly Hallows Part 2 came out. Not only did I realize Goblet was perfectly fine, but I kicked myself for missing out on the next three installments, all of which I liked. I came out of Deathly Hallows Part 2 with tears in my eyes. Cut to 2016 and Fantastic Beasts and Where to Find Them, a spinoff based on a small side-book that Rowling wrote, finally comes out. I was battling some personal issues at the time and couldn’t make it to the theater, but I eventually did watch it on video and kicked myself yet again. The most amazing thing about the first Fantastic Beasts was that even with its obvious connections to the Harry Potter universe, it was fully capable of appealing to people who weren’t familiar or interested with the previous eight films. This is in stark contrast to the awful Rogue One: A Star Wars Story from later in the same year, which demanded you already know A New Hope well enough to recognize both the plot and the ridiculous amount of fan service. So far we’re 9 for 9 in the Wizarding World, as the Harry Potter franchise is now officially titled—all killer, no filler. The reviews for Crimes of Grindelwald start to pour in and ¡ay dios mio! The Tomatometer is at a 40%, just barely over half the first film’s score! I’m perturbed to be sure, but unafraid to look an otherwise strong and consistent franchise right in the eyes and give it a fair shake. 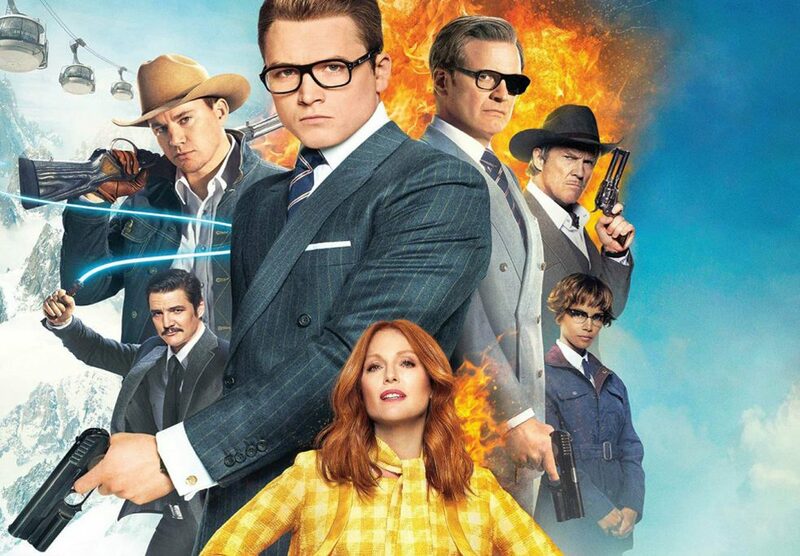 My last review here was built entirely off rooting for the underdog, and that’s the attitude I walked in with for this movie—now the proverbial underdog of the Wizarding World. 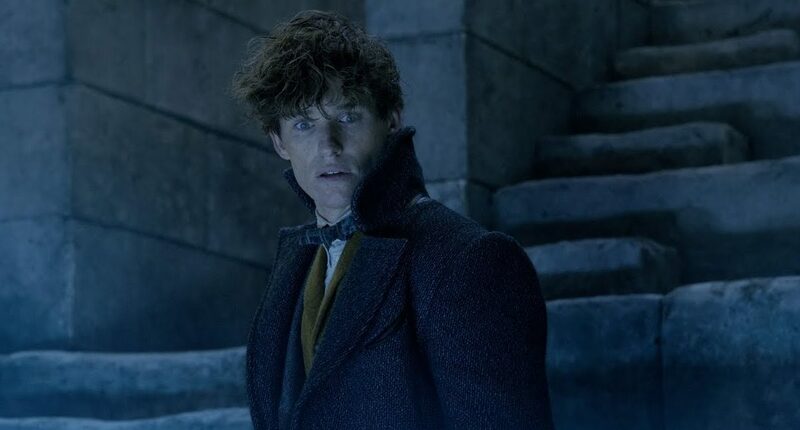 Harry Potter 10: Fantastic Beasts 2: The Crimes of Grindelwald once again follows Newt Scamander (Eddie Redmayne) and pals as they search throughout Europe for the missing Credence Barebone (Ezra Miller), who they (and the British Ministry of Magic) believe is actually a long-lost member of the Lestrange family. Evil wizard Gellert Grindelwald (Johnny Depp) sets out to find Credence in the hopes that he can exploit Credence’s pure-blood wizard power to kill Albus Dumbeldore (Jude Law). Dumbledore urges Newt to follow Credence to Paris and take care of him before Grindelwald can. Meanwhile, the muggle Jacob (Dan Fogler) tags along in search of his wizard girlfriend Queenie (Alison Sudol), who he accidentally alienates during an argument over the laws that forbid their mixed relationship. One of the most troubling developments about the Fantastic Beasts series is that before the first film was released to theaters, Warner Bros. had announced plans for four sequels. Announcing a sequel or two is commonplace to publicly establish corporate faith in the property, but four is a strange number to put out there from the jump. After all, the Divergent series notoriously followed Harry Potter’s “split the last book into two movies” formula and then pulled the plug on the second part when the first disappointed, so if some producers can’t even be bothered to finish a series at the eleventh hour, what’s the point? Nonetheless, I must reiterate the core strength of the first Fantastic Beasts—it truly has an identity all its own. Even though it ends with sequel-bait, it could’ve still functioned perfectly fine as a standalone that would just eventually lead to the Harry Potter series. Crimes of Grindelwald, on the other hand, seems to function only as a transition piece between the first movie and the several follow-ups the producers expect to bankroll. A disproportionate amount of screentime is devoted to nonstop exposition dumps and details meant to tie it and its expected three remaining sequels to the Harry Potter series, very much at the expense of a satisfying end result. The film can’t even pull off that misguided task all that well; for the most damning example, comparing the tones of the two movies so far would be like comparing a birthday cake to whiskey. The first movie had its serious moments, but there was an air of whimsy throughout it that organically propels its characters along. This one relegates that whimsical quality to occasional quips, only about 5% of which successfully managed to get a rise out of anyone in my audience, in favor of the faux-serious tone and grimdark aesthetic that Warner Bros. seems to favor whenever they reboot anything these days. Try to imagine if Chamber of Secrets had the much darker tone of the Deathly Hallows films, but still directly followed Sorcerer’s Stone, tonal whiplash be damned. Now make the movie downright unpleasant to look at on a visual level, with a sickly color palette that’s only a few notches on the saturation slider away from just having no color whatsoever. Finally, make the pacing so bad that even though it’s only a minute or two longer than the first film, it feels at least an hour longer, and you end up with this… thing. It may not be as bad of a sequel as Pacific Rim: Uprising, but it definitely sits high among the most disappointing films of the year. The baffling thing about it is that once again, J.K. Rowling is the only credited writer on the screenplay, but it feels so far beneath the level of writing she’d displayed time and time again in the past, which makes me suspect a lot of executive meddling. If that’s the case, they better watch themselves before those three remaining sequels start to thin out.